The Post is an award-winning, century-old, independent, student-run news publication on Ohio University’s campus. The Post prides itself in media innovation and detailed storytelling, and covers topics relating to student interests, faculty, academia, culture, the arts, athletics, and state and national issues. Its primary mission is to serve its readers in a civic, engaging and entertaining manner, and to do so in a rapid and professional fashion that supports its long-standing legacy as a premier media outlet in Athens, Ohio. The Post publishes content on its website, thepostathens.com, each day classes are in session. The Post also publishes a weekly print tabloid each Thursday classes at OU are in session. The tabloid is distributed at more than 150 locations in uptown Athens and on Ohio University’s campus. Single copies of The Post are free, and additional copies can be found in The Post’s newsroom in Baker Center, Room 325. 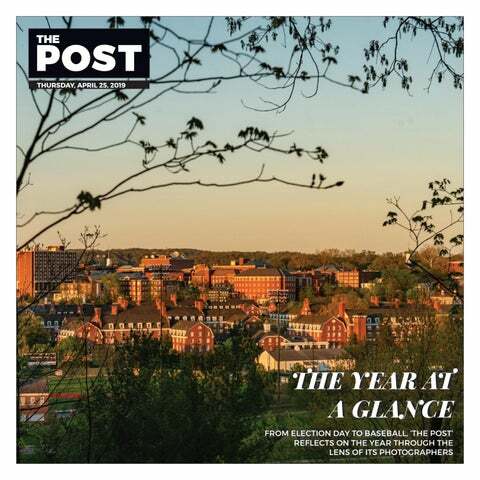 The Post does not do home delivery, but its editors are more than happy to mail copies of The Post to interested readers, as well as any alumni who may be searching for an archived story. To read more about The Post’s recent transition from daily print newspaper to a digital-first media organization with a weekly print product, click here or here. To read print issues of The Post from 2016 to present online, click here. To view The Post’s archives from 1960-1970 and 1999-2011, courtesy of our friends at Alden’s University Libraries Digital Collections, please click here. To view the full collection of The Post’s archives, please visit Alden Library’s microfilm collection, located on its first floor. If you are not in Athens but would like a scanned, archived story from The Post, please email editor@thepostathens.com with the date and headline of the story you are searching for. For general inquiries, call our front desk at 740-593-4010. If you have a question, comment, critique or concern regarding The Post’s coverage, or you’d just like to chat, you can reach Editor-in-Chief Lauren Fisher at editor@thepostathens.com. If you have a specific question, comment or story idea, you may reach out to the pertinent section editor(s) by viewing our masthead. If you are unsure who to contact, please contact Lauren at the above email. If you would like to write a letter to the editor, please ensure it is less than 1,000 words. If you are an Ohio University student, please include your name, year in school and major(s). If you are non-student, please include your name, city of residence and current occupation. Please also note if you are an OU alumnus or a former Post employee. Please email your letter in a Microsoft Word document to letters@thepostathens.com prior to 1 p.m. on the day you would like it to be published online. The Post is not obligated to publish letters to the editor and uses its editorial discretion when deciding whether or not to do so. The Post does not publish letters that are soliciting donations. We reserve the right to edit all letters for clarity, vulgarity, spelling, grammar, and both Post and Associated Press styles. If you have a news release, event, tip, or something you would like our staff to research and report, email news@thepostathens.com. The Post does not publish news releases, but its staff may choose to further research the information provided in such releases. If you are interested in purchasing an advertisement online or in our print product, please contact Andrea Lewis, the student media sales internship manager, at lewisa3@ohio.edu or 740-593-0418. Want to stop by The Post’s newsroom? It’s located on the third floor of Baker Center, at the end of the hallway with the food pantry sign, near the escalators.